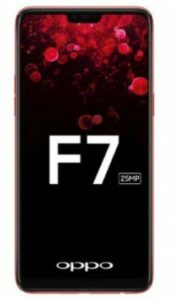 Are you Oppo F7 user? if yes, then download the official drivers for your device. Here you will find the ADB driver for your latest Oppo F7 smartphone. Oppo F7 smartphone is also known as selfie expert that was launched in 2018, April. The phone comes with LTPS IPS LCD capacitive touchscreen. It has a large display of 6.23 inches with a resolution of 1080×2280 pixels covered by corning gorilla glass 5 technology. The latest OS android 8.1 (Oreo) is installed on it. Oppo F7 include powerful processor named as octa-core Helio P60 with 3400 mAh long-lasting battery to increase the performance of the phone. The phone packs internal memory of 64 GB with 4 GB RAM and 128 GB with 6 GB RAM and also support micro-SD card upto 256 GB. The camera results are quite awesome as it offers 16MP Primary camera with LED flash and 25MP secondary camera for selfie shooters. The connectivity medium include WLAN, Bluetooth, GPS, Radio and USB.